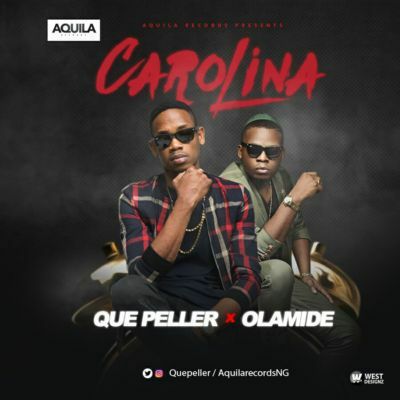 AQUILA RECORDS' artiste/mystical performer QUE PELLER is back with , a crisp tune titled CAROLINA and it highlights YBNL big boss, Olamide. As yet savoring the accomplishment of his introduction single/video ELENIYAN, QUE PELLER got back in the studio with one more of the mark's occupant makers, PHANTOM to make this exceptional sound which showcases yet another side of the gifted performer and looks set to concrete his place as a pillar on the Nigerian excitement scene. Prominent sound specialist SUKA, contributed his aptitude to the blending and acing of the melody, while there are supporting vocals from AQUILA RECORDS' engineer, SLYMKEYS.